Adorable baby!!! Meanwhile 2face why did you block the whole pic with your shine shine head?….lol. 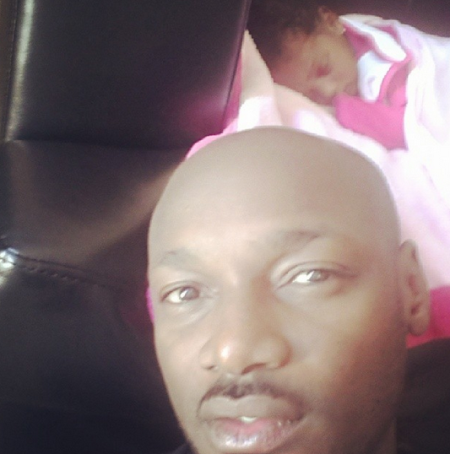 This entry was posted in Entertainment, Fashion trends and tagged 2face Idibia and baby Olivia, Tuface new baby.